This cable is designed to add iPod/iPhone/iTouch connectivity and control to a compatible Grom Audio integration kit such as the GROM-BT3 or GROM-USB2P or as a replacement for the cable supplied with a Grom iPod/iPhone kit (GROM-IPD2 or IPD3). Converts your iPod/iPhone into a virtual CD changer. Head unit will fully control the iPod. MIX, REPEAT work as usual, SCAN allows you to skip +-10 tracks for faster navigation. 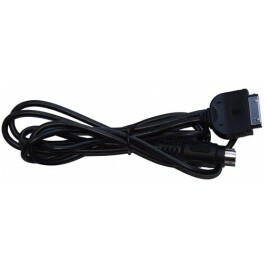 Your Apple device will get charged when connected with this cable. The cable has an Apple 30 pin dock connector on one end and an 8 pin Mini-Din connector the other. Pull / release Mini-Din secure lock mechanism. 4.6m extra long length version also available - ideal for boot mounted kit installations. 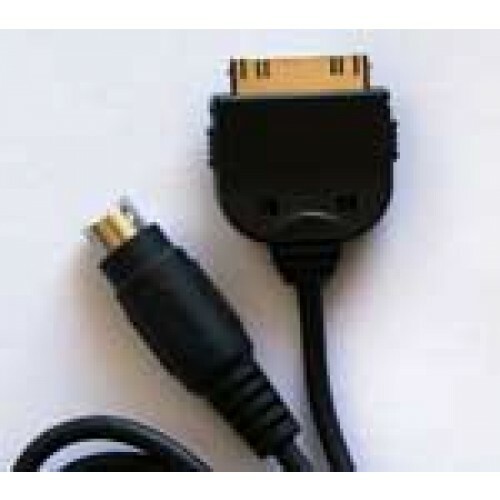 Please note: This cable is a proprietary product by Grom Audio and will not work with other manufacturers equipment.